How do we choose our puppy, especially if we can’t visit? This is a question we get quite often. 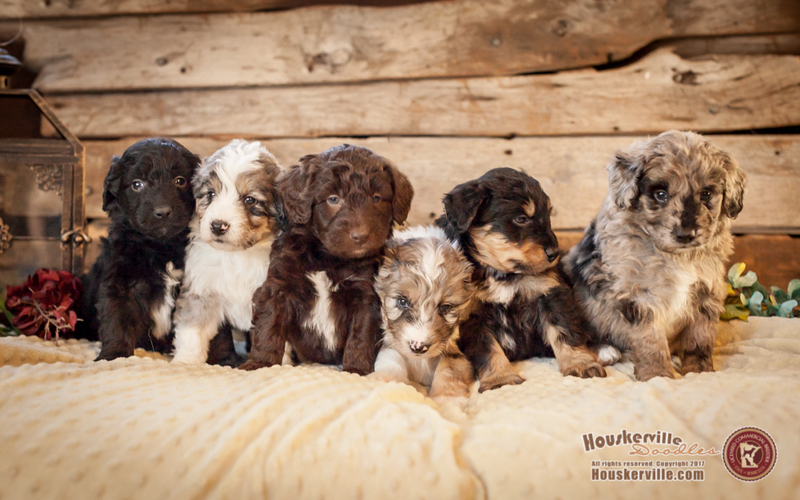 We do wait to have customers choose their puppy until they reach about 6-7 weeks of age. We will choose a selection day, post photos and videos a few days before and will have the first customer on the list select first choice. After first-choice customer decides, we will go down the list from there and discuss the puppies with each customer. If first choice customer is ready to choose before this age (basing their decision more on color or gender) they are free to do so, but will not be able to change their mind later. We like to wait until the puppies are older, so we can see how their coats are developing and help you choose what is best for you. We will also be able to see their personality differences a bit at this age, but it is still pretty young- so keep in mind that quieter pups may become more outgoing as they develop and mature.